Genealogy Form. Use the green magnifying glass buttons to navigate easily to any sheep displayed. Use the back button (labeled "<" in the upper right corner) feature to navigate back easily. This form is also searchable so you can, for example, find all sheep with Ladd as the grandsire. 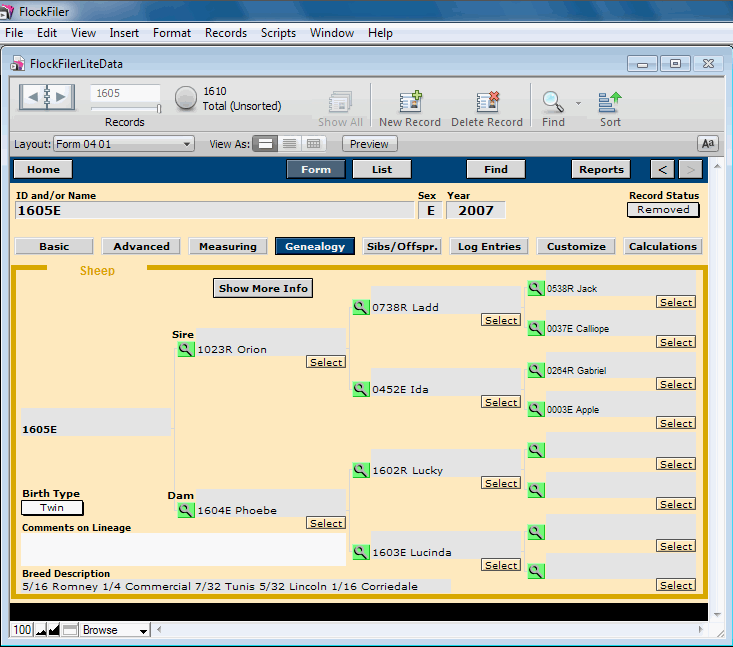 If desired you can fill in missing entries on the pedigree using the "Select" buttons.